Advance Products & Systems | Mason-Dallas Inc.
Mason-Dallas is proud to offer Advance Products & Systems, Inc. products, APS is a leading manufacturer and distributor of water & wastewater, oil & gas, and industrial & mechanical pipeline products. 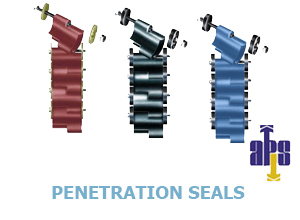 INNERLYNX – Penetration Seals form a mechanical seal between pipes going through walls, floors, vaults, tanks and pipeline casings. Besides being designed to form a hydrostatic seal of up to 40 PSIG and up to 92.28 ft. of head pressure, INNERLYNX help absorb vibrations, shocks, and sound waves. 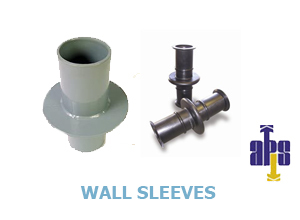 APS Wall Sleeves are designed to mate with the APS INNERLYNX seals for leak-free performance. APS standard length is 12 inches, however, we can customize any size wall sleeve, keeping in mind a 6 inch minimum is required. Each model is available with a water stop that anchors the sleeve to prevent thrust movement and insure positive water sealing. APS standard water stops are centered, unless otherwise specified. 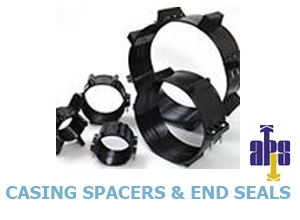 APS Casting Spacers & End Seals center water and sewer pipes in casings with ease of installation, are virtually corrosion proof and provide insulating protection from a possible electrical shorting between the carrier pipe and casing. No special tools are needed, no grease is used, and they are easily bolted on by a single worker.